Last night my special lady friend and I went to Gasthausbrauerei Nolte to see the Rob Ryan Roadshow. I’m not sure if I have written about Nolte here before. It is, hands down, the best microbrewery in Lüneburg, maybe northern Germany. It is over 100 years old and it is a third generation family run place. It has a very down home traditional German flair to it. They offer great food and beer. One thing that a lot of people don’t know about it, is that it is a very popular stopping place on the country/rockabilly circuit in Germany. The show was great. He played a lot of well known covers as well as some of his own music. The crowd was not as rowdy as I would have expected. 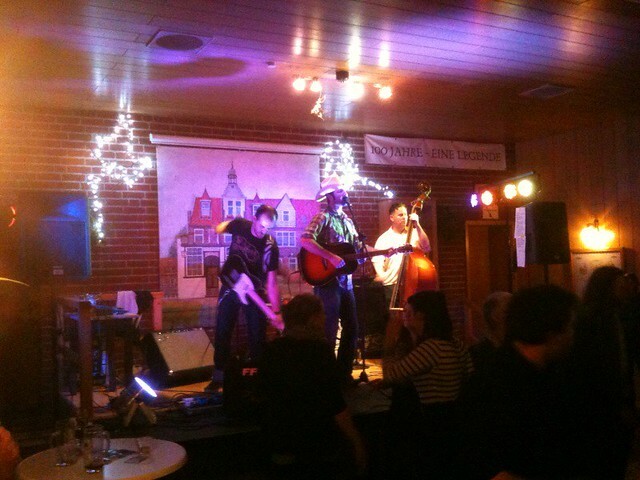 When I walked in the door and saw a tableful of guys each looking like Charlie Daniels, I was a bit taken aback and had to make sure I was still in Germany. 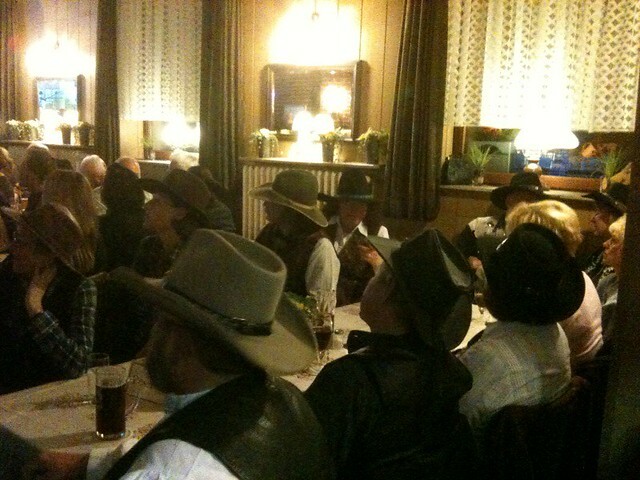 Then I walked into the hall and saw a bunch of other Germans dressed up like they just got off the set of Gunsmoke. For a brief second I thought I was at Billy Bob’s in Fort Worth. Anyway, here are a couple of low-res pics as proof.